Since marijuana has been legalized for both medicinal and recreational purposes, people often overlook the fact that it is still considered a drug. People don’t think of marijuana in the same way they understand that drinking and driving is illegal and dangerous. Marijuana, while it does have mind-altering effects, is not considered ‘dangerous’ to many people and therefore, they don’t often think of the consequences that consuming marijuana may hold. In the state of Colorado, the legal amount of marijuana in one’s system while driving is 5 nanograms of THC in the bloodstream, per millimeter. Just like alcohol, the amount of marijuana consumed will have different effects on each person’s bloodstream. The amount may also differ if you are consuming THC or CBD-heavy strains of marijuana. Overall, it is best to be safe and not sorry, and avoid smoking or consuming marijuana and driving altogether. There are serious consequences for receiving a Marijuana DUI and it not a stressor you want to put on your own life or your family’s. Not only are there numerous court dates to attend and paperwork to be filled out, but there will also be fines. Depending on what number of offense your Marijuana DUI is, your fines may be up to $500,000. Marijuana DUIs will not only affect your life, but may also be very expensive. Below is a general outline of the fines, fees and penalties to expect depending on what offense you are receiving. Keep in mind that these are just baseline consequences. If there are children present at the time of receiving the Marijuana DUI, the charges you face will be higher. Also, if there are any marijuana paraphernalia present in the vehicle you are caught driving under the influence of marijuana in, you will also face higher charges. 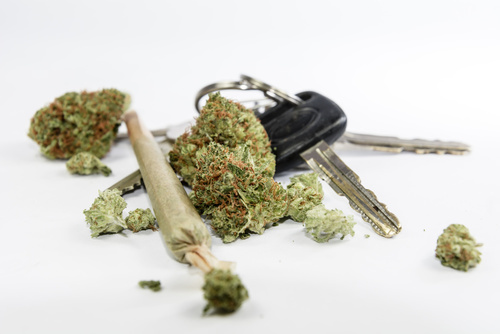 The charges and penalties for a Marijuana DUI in Colorado are the same as an alcohol or drug-related DUI. If you or anyone you know has been charged with a Marijuana DUI in the state of Colorado, do not hesitate to contact the Law Offices of Jarrett J. Benson. We have experience with all kinds of DUI charges and will help you and your family receive the best possible outcome. Call today for Colorado’s top DUI representation.